As a woman, you’ve become accustomed to your “Aunt Flow.” For the most part, you can tell when she’s coming to town and what to expect… or at least you thought. When your period suddenly starts to change, you may be left scratching your head and wondering what could be causing this menstrual change. It might seem strange, but every woman has an irregular period at least once in her life. While a change in your flow is generally nothing to worry about, it’s still important to know why it could be happening. Typically, women have between 11 and 13 menstrual periods during the year. These periods last anywhere between 3 to 7 days, and each woman has a different flow. With all these variations, it’s hard to call a certain type of period “normal.” All women are different, and so are their periods. You know what is and what isn’t regular for your body. An irregular period can be a late or early period, very light or very heavy bleeding, or even spotting in between cycles. Anything that does not follow your normal cycle is an irregular period. – Stress: Cortisol, the hormone caused by stress, directly affects the amount of estrogen and progesterone the woman’s body produces. Too much cortisol will change the time and flow of your menstrual cycle. – Birth Control Pills: After starting birth control pills, it may take your body several months to get used to the hormones. This may affect your menstrual cycle. Some women’s menstrual cycles will never return to “normal” after they start birth control. – Pregnancy: After becoming pregnant, many women experience late or lighter than normal flows before their menstruation ends. Some women could also mistake implantation bleeding with a light period. – Exercise: In order to menstruate, a woman’s body needs energy. If too much of that energy is being spent in the gym, they may not menstruate. – Pre-Menopause: Up to 10 years before menopause, a woman may start experiencing irregular periods. This is because hormone levels in the body have already started to change. – Polycystic Ovary Syndrome: This syndrome causes cysts to form in a woman’s ovaries. This can interfere with ovulation and cause irregular menstruation. There are a number of conditions and lifestyle choices that may be causing your irregular periods. If you are concerned about a change in your flow, come visit OB-GYN Women’s Centre of Lakewood Ranch today. Our caring physicians offer comprehensive gynecological services, and will be able to help you understand what is causing your menstrual change. Take control of your period, and call OB-GYN Women’s Centre of Lakewood Ranch today! 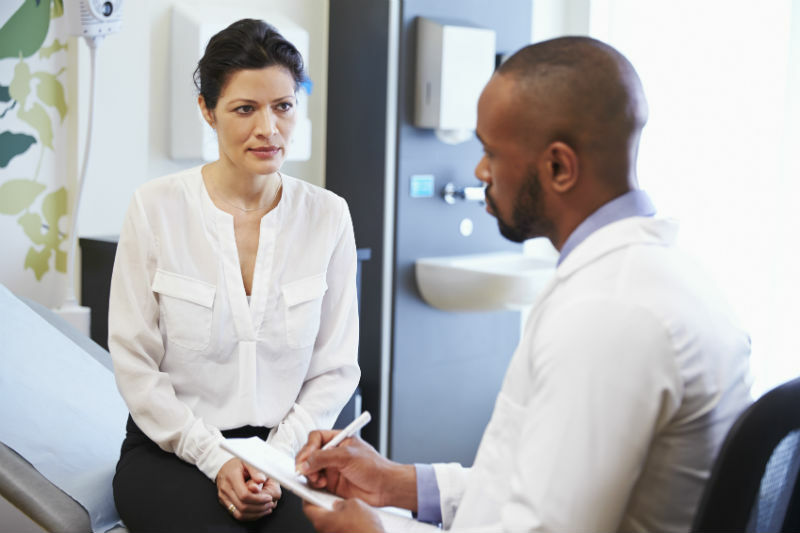 Do I Have to See a Gynecologist for a Yeast Infection? ←What Medications Affect My Libido?